So many of my favorite home school memories involve reading good books aloud. For many years we began our days with me reading both devotional books and historical fiction to the children and ending the days with Daddy reading classics to all of us. When the books were riveting, the children often persuaded me to continue reading on into the second hour of the school day, begging me not to read ahead when they ultimately had to go off to do math or science. In the evenings after the dishes were done, we would move to the family room and my husband would open the book he was reading to us. We were instantly transported into places like the Hundred Acre Wood, the Shire, the Mines of King Solomon, or the high seas of courageous captains. He read dramatically, used different voices, and stopped to give explanation for challenging vocabulary. Occasionally when he traveled with work, my husband would bring back a well-known book from the country he visited and read it to us. Our children will always remember the adventures of Jock of the Bushveld, a little dog who lived in the wilderness of South Africa. Perhaps there are some reading this thinking that there is not enough time in the day to include so much corporate reading. I admit that when students get into high school their schedules become much more demanding and time consuming. Nevertheless, we were able to maintain the habit of reading aloud throughout high school because we added the required reading into our ritual. Shakespeare’s Taming of the Shrew or Merchant of Venice were part of our Language Arts curriculum, Carry on Mr. Bowditch easily fit into Science, and Jeff Shaara’s Rise to Rebellion was our American Revolution extra credit read. It is more difficult to do this when you have multiple children of varying ages and levels of understanding. But I found that older children still love to hear their favorites alongside their younger siblings, and the younger ones can be carried along in the larger themes of the more difficult works. One of the ways we incorporated reading books into our busy academic schedule came about as the result of a reoccurring seasonal frustration. Each year from the end of October until the middle of December the calendar filled quickly with so many extra activities that getting all our schooling in became practically impossible. After a couple of years of this inevitable tension, we transformed our academic expectations and holiday schedule into a unit study approach to learning that centered around books we read aloud together. Whether in the car on the way to an October-fest or on the way home from Christmas caroling at the nursing home, we were able to cruise through books that offered the solution to our holiday stress. In the elementary years we read Wyeth’s Pilgrims, and Squanto, Friend of the Pilgrims and as the children grew our reading list also matured. Into the high school years we read books like Of Plymouth Plantation and To Have and To Hold. During the months of October through early November, we focused on famous people and historical events in our country’s early years. From Thanksgiving to Christmas we focused on our Christian heritage by re-reading the gospel accounts of Jesus’ birth and classics like The Bronze Bow and One Wintry Night. We also included traditional Christmas classics to the list once the fundamentals of our faith were established, so our children are also quite familiar with stories like A Christmas Carol and The Polar Express. Reading together enhanced the pleasure and meaning of the holiday season at the same time it enriched the imagination and recognition of the power of words for our children. It inspired a love of reading, it made history come alive, and helped our children to recognize how philosophy shapes world events. The books we’ve read together and loved together have become a legacy to our children and they will read them to their children. Take your family on a wonderful adventure this holiday season as you read together. Bon Voyage! Squanto, Friend of Pilgrims by Clyde R. Bulla, To Have and to Hold by Mary Johnston, Of Plymouth Plantation by William Bradford, The Landing of the Pilgrims by James Daugherty, If You Lived at the Time… series by Kay Moore, Wyeth’s Pilgrims by Robert Sonci and NC Wyeth, The True Story of Poccahontas by Lucille R. Penner, The Pilgrims of Plymouth by Marcia Sewall, On the Mayflower by Kate Waters. One Wintry Night by Ruth B. Graham, The Christmas Miracle of Jonathan Toomey by Susan Wojciechowski, The Best Christmas Pageant Ever by Barbara Robinson, The Gift of the Magi by O’Henry, Bartholmew’s Passage, Tabitha’s Travels, and Jotham’s Journey by Arnold Ytreeide, Unafraid by Francine Rivers, The Bronze Bow by Elizabeth G. Speare, The Polar Express by Chris Van Allsburg, The Fox’s Story by Nick Butterworth and Mick Inkpen, The Pilgrim’s Progress by John Bunyan, The Silver Skates by Mary Mapes Dodge, The Velveteen Rabbit by Gene Zion, Heidi by Johanna Spyri, A Little Princess by Frances Hodgson Burnett. 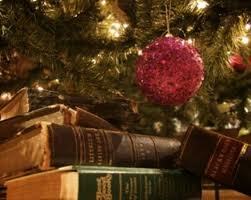 I enjoyed your post and am now going to check out some books for our children for Holidays . We needed some guidance on good books.My girls have been stuck on the American girls series , yet we need some more books to reading and to branch out more . Thank you for this and your other posts … they are helpful . Keep up the good work . That was great, Nicole. Very inspiring! Thanks for sharing these thoughts. Reading aloud to our children was my most favorite activity in our home school. I miss it!